As the saying goes, your past can greatly influence your future depending on how you handle it, this saying perfectly applies to Zac Brown, the founder and leader of this world renowned band - Zac Brown Band. What many people don’t know is that is passion was because of his step dad who had this love for bluegrass music and could listen and play their music when he was hanging out with his sons during the weekends. Born in 1978, real name Zachry Brown love for music flourished after he was handed his mother’s guitar and his step dad patient’s gave him some classical guitar lessons when he saw his undying love for guitar. This is when we can say, the Zac Brown legend was really born. He perfected his classical guitar playing skills after two good years on continuous training and determination when he was only 8 years. Later on, when he was in high school he started performing solo with his inspiration being John Taylor. It wasn’t until he was 19 years when he started touring and performing with a drummer and his dog, Pete. It is here that we can say the Zac Brown Band foundation was laid. In 2003, the beginning of the Home Grown label was initiated and this is when he sold his restaurant to buy a tour bus and also released the first album in 2003 as well. This year proved to be great for him. Zac formed this band from individuals whom he knew personally while studying in Campus and Chris were the last inclusion in 2008. The song "Chicken Fried", released in 2003 but was officially released in 2008 was their debut song left a mark in the music industry and it highly led to the beginning of the success of the band. After this great hit, the singles and albums that they released were received with great ecstasy by the band. Thereafter, they only went uphill. The release of "Chicken Fried" triggered the masses in the right way and since then their fan base has been growing. "Chicken Fried" was a classic and it became the talk of the year and it became the only song after Heartlands to become number one on the country charts. The release of this debut song was soon followed with the albums "The Foundation and Uncaged" which won awards and gave them a chance to perform the national anthem in 2013 at the National Championship Game and in 2014 at the Michigan Stadium during that classic winter game between Detroit Red Wings and Toronto Maple Leafs. Did you know that the album The Foundation has sold more than 2 million copies so far? Now you know. 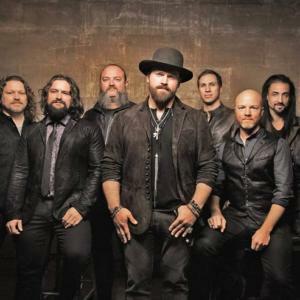 Till date, with the release of music that fans can relate to, Zac Brown Band has been nominated 55 times since 2009. They have gone on and won more than 5 awards including the much coveted Grammy award for the Best Country Album in 2011 for their album Uncaged and in 2010 the Grammy award for the Best New Artist. They have also won the Vocal Group of the Year in 2011 at the ACM awards. There are however accolades in the pipeline for the group and with their performance and vocals, fans are expecting nothing short of quality and award winning music.